The state of West Bengal comes fifth in the list of ‘states with maximum poverty in India’ behind only Uttar Pradesh, Bihar, Madhya Pradesh and Maharashtra. 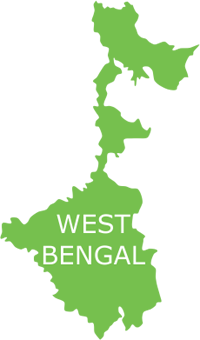 A whopping 22% of the urban population in Bengal lives below the poverty line. Not only lack of essential civic amenities including drinking water, drainage, sanitation and electricity; but also absence of healthcare centres in the urban slums has resulted in the appalling living conditions of the slum dwellers. In Kolkata alone, there are over 70,000 people who are homeless and almost one-third of the total population live in slums. Even though the city features a good network of public and private healthcare facilities, catering to the growing urban poor population is a daunting task for the authorities. Lack of awareness among the slum dwellers is one of the major issues that have led to the increasing number of diseases and deaths. There is a high burden of communicable diseases such as diarrhoea, tuberculosis, malaria, HIV and AIDS etc., in the slums. Also, there is a high occurrence of preventable diseases in the communities that can be evaded when the population living in the slum clusters adopt health-seeking behaviour. In order to take care of the healthcare needs of the underprivileged population, Smile Foundation intervened and launched a Smile on Wheels project in Kolkata. The project being implemented was initiated in 2012 in partnership with ArcelorMittal and Sabuj Sangha. Before implementation of the project, need assessments of the areas were being done, wherein key issues of concern were identified. Five slums of South Kolkata and 1 in Salt Lake City in Kolkata were identified for operation. This mobile hospital project intervenes in these locations 2-3 times in a month and covers 20,000 people per year. Smile on Wheels mobile hospital has a dedicated team of doctors, nurses and other medical staff to meet immediate health care requirements of the community dwellers. Numerous health camps are organised alongside to give the facilities on promotive, preventive, curative and referral services to the whole community. This project is also doing sessions on maternal and child health with special focus on antenatal and postnatal care. 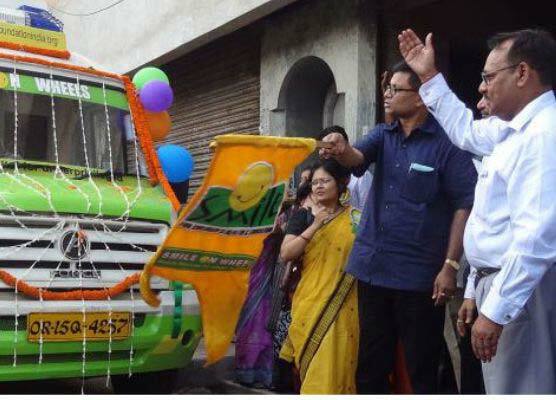 Smile on Wheels project launched in five slums of South Kolkata and one in Salt Lake City in Kolkata to make health services accessible to the inhabitants. Awareness campaigns on personal hygiene, basic health and sanitation are regularly conducted. Audio-visual tools like charts, CDs, movies and engaging activities like group discussions and street plays are used for spreading awareness among the people. The programme has reached out to a larger rural population, which includes women and children. Working together with government initiatives like ASHA, Anganwadi and ANM workers to provide utmost benefit to the people.